Figure 1. Hyperkyphosis of Upper Crossed Syndrome. Permission Joseph E. Muscolino. Artwork by Giovanni Rimasti. When a client presents with hyperkyphosis of the thoracic spine (upper and middle back) to a Pilates instructor, there is no doubt that Pilates can treat thoracic hyperkyphosis. In fact, there are many approaches that a Pilates instructor can use to help improve the client’s condition. And for each of these approaches, many Pilates exercises can be utilized. Before addressing these approaches, let’s briefly review thoracic hyperkyphosis. To understand how Pilates can treat thoracic hyperkyphosis, it is necessary to understand what thoracic hyperkyphosis is. It is simply a postural distortion pattern that involves an increased kyphotic curve of the thoracic spine. Because a kyphotic curve is a curve of flexion, the hyperkyphotic thoracic spine has excessive flexion. For this reason, it is known in lay terms as a rounded back (Figure 1). 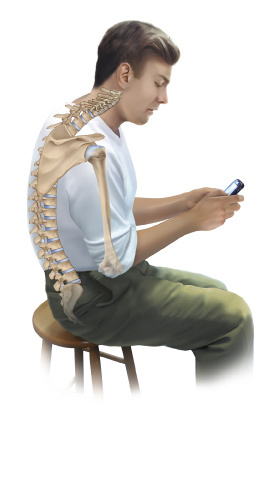 Thoracic hyperkyphosis rarely occurs in isolation. It is usually part of a larger postural distortion pattern known as upper crossed syndrome, named by Czech physiologist, Vladimir Janda. Of all these factors, perhaps the primary factor that drives the larger postural distortion pattern of upper crossed syndrome to occur is the thoracic hyperkyphosis. For this reason, addressing thoracic hyperkyphosis is extremely important. Figure 2. Rounding forward when working down in front of your body. Permission Joseph E. Muscolino. www.learnmuscles.com. To best understand how Pilates can treat thoracic hyperkyphosis, it is also necessary to understand what causes this condition. There are two major causes of thoracic hyperkyphosis. 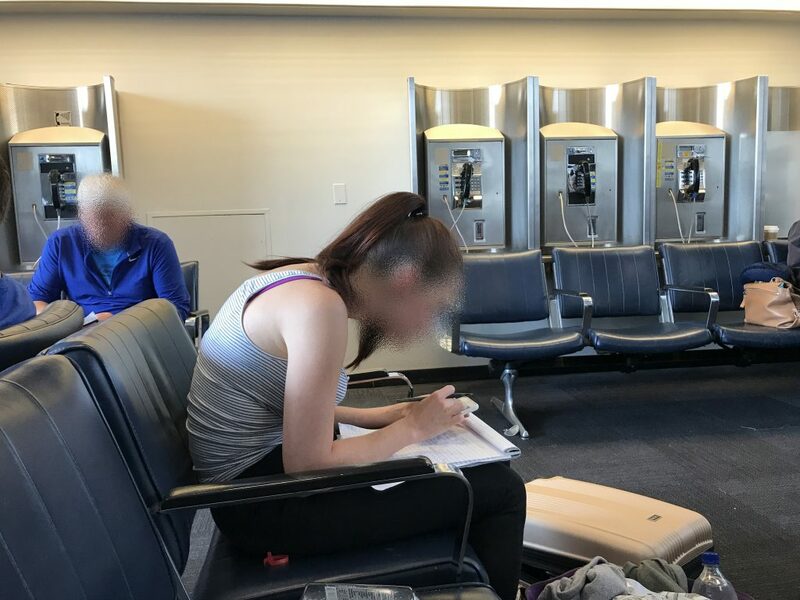 Perhaps the major reason is rounding down to work down in front of the body, a posture that is assumed when reading or writing, or as is more and more common, working on a digital device such as a cell (mobile) phone, tablet, or laptop computer (Figure 2). The second major cause of thoracic kyphosis is when it occurs secondary to lower crossed syndrome, which involves an excessively anteriorly tilted pelvis accompanied by a hyperlordotic lumbar spine (a lumbar curve that is excessively extended). The excessive lumbar curve of extension results in the thoracic spine having to increase its curve as a compensation (Figure 3). Figure 3. Kinematic Chain from Pelvis to Head. 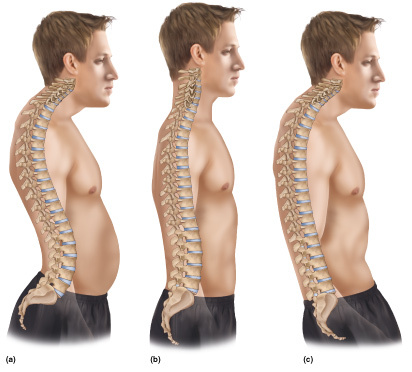 The far left figure shows how lower crossed syndrome of the lumbosacral region can result in upper crossed syndrome of the upper region of the body (including hyperkyphosis of the thoracic spine). Permission Joseph E. Muscolino. Artwork Giovanni Rimasti. Now that we have reviewed the condition of thoracic hyperkyphosis, let’s take a look at how Pilates can treat thoracic hyperkyphosis. There are six approaches that the Pilates instructor can use to alleviate this condition. For each approach, there are many, many exercises that could be used. We will not try to list or explain all of them. Rather, in each case, we will choose one or a few exemplary exercises to illustrate the concept. Figure 4. The Pelvic Lift Pilates Mat Exercise. Permission Simona Cipriani. The Art of Control Pilates Studio, Stamford, CT, USA. Pilates can treat thoracic hyperkyphosis by addressing the posture of the lumbar spine. As we have said, one reason that a hyperkyphotic thoracic spine exists is as a compensation for a hyperlordotic lumbar spine. Therefore, any exercise that can decrease the lumbar curve can indirectly help reduce the hyperkyphotic thoracic spine. Because a hyperlordotic lumbar spine is a lumbar spine that has excessive extension, usually in conjunction with an excessively anteriorly tilted pelvis, then any Pilates exercise that decreases anterior pelvic tilt and lumbar extension can help thoracic hyperkyphosis. Muscles of the anterior abdominal wall, specifically rectus abdominis, external abdominal oblique, and internal abdominal oblique, have as their joint actions posterior pelvic tilt and lumbar spinal flexion. Therefore, Pilates exercises that strengthen these muscles can be employed. Most every Pilates mat exercise wherein the client is supine (face up), strengthens these muscles. One example is The Hundred. Another example is The Pelvic Lift (Figure 4). Note: There are two ways to strengthen the anterior abdominal wall musculature. One is to directly challenge the client to flex the trunk and/or posteriorly tilt the pelvis. The other is to challenge the client to flex the thighs at the hip joints. This requires the anterior abdominal wall musculature to engage to create a stabilization force toward pelvic posterior tilt, which stops the pelvis from anteriorly tilting, the reverse closed-chain action of the hip flexors (wherein the pelvis moves toward the thighs instead of the thighs moving toward the pelvis). Figure 5. Chest Expansion Pilates Apparatus Exercise – at end of Cadillac. Permission Simona Cipriani. The Art of Control Pilates Studio, Stamford, CT, USA. Pilates can treat thoracic hyperkyphosis by addressing the posture of the shoulder girdles. Therefore, a second approach for the Pilates instructor to take to address a client who presents with thoracic hyperkyphosis is to directly strengthen the muscles of shoulder girdle retraction. This is because correcting the excessive shoulder girdle protraction is part of the correction that is needed to alleviate the thoracic hyperkyphosis / upper cross syndrome complex; the three key components that comprise this postural distortion pattern are excessive thoracic extension, shoulder girdle protraction, and arm medial rotation. Chest Expansion exercises directly work and strengthen the musculature of shoulder girdle retraction (rhomboids and trapezius, especially the middle trapezius). One example of a Pilates Chest Expansion exercise is done standing at the end of the Cadillac (Figure 5). Figure 6. Arm Circles against the wall. Permission Simona Cipriani. The Art of Control Pilates Studio, Stamford, CT, USA. Pilates can treat thoracic hyperkyphosis by addressing the posture of the arms at the shoulder (glenohumeral) joints. As stated above in Approach #2, the three principle components of thoracic hyperkyphosis / upper crossed syndrome are excessive thoracic flexion, shoulder girdle protraction, and arm medial rotation. Therefore, addressing the rotational component of the arms at the shoulder joints by strengthening the arm lateral rotators (specifically the infraspinatus, teres minor, and posterior deltoid), is another approach we can take to alleviate this condition. Arm Circle exercises are ideal for this. Arm Circle exercises can be performed in many different ways on different pieces of apparatus. Figure 7. Arm Circles Pilates Exercise on the Pedipole Apparatus. Permission Simona Cipriani. The Art of Control Pilates Studio, Stamford, CT, USA. 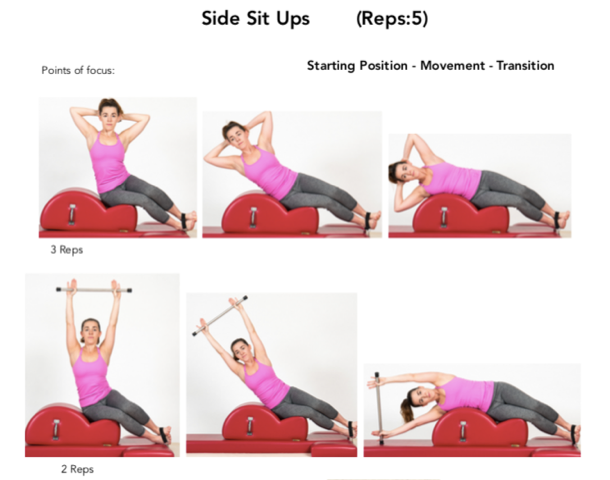 This allows us to not only relate Arm Circle exercises to thoracic hyperkyphosis, but also to point out how the system of Pilates allows for the same exercise to be performed in multiple ways, each one modifying how the exercise is done and therefore the force and effectiveness of the exercise. 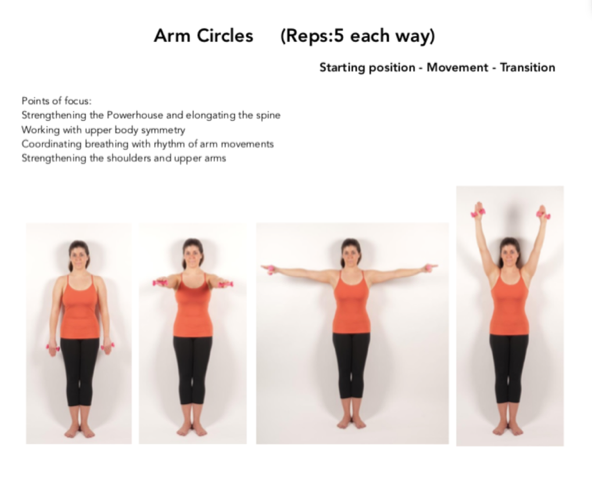 For example, we can perform Arm Circles standing against the wall (Figure 6). This allows for the circles to be done against gravity, which increases the demand for strengthening. 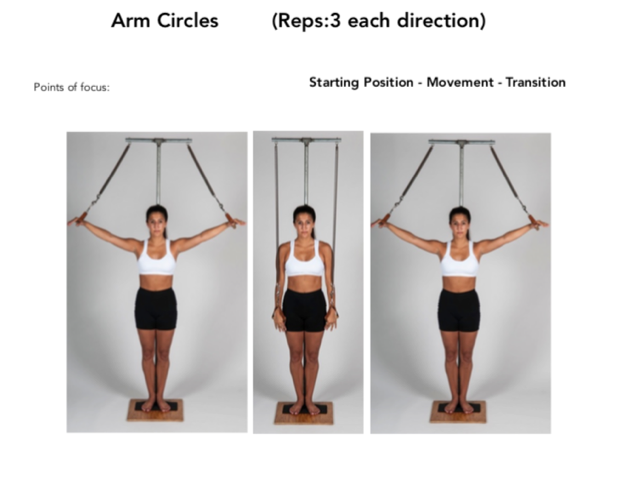 But Arm Circles can also be done with the Pedipole, which then allows for the added resistance of the springs (Figure 7). And the Arm Circles, or a version of them (Spine Corrector Stretch with Bar), can also be done with the client supine on the Small Barrel (Figure 8). This adds in the effect of body weight / gravity to help the shoulder girdles fall into retraction, as well as place the thoracic spine into extension against the arc of the Small Barrel. Figure 8. 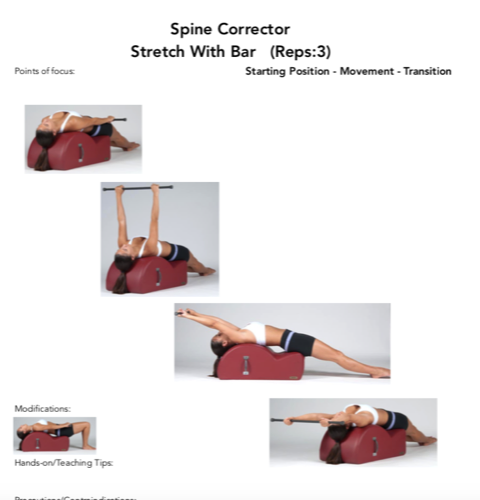 Spine Corrector Stretch With Bar. Permission Simona Cipriani. The Art of Control Pilates Studio, Stamford, CT, USA. Figure 9. 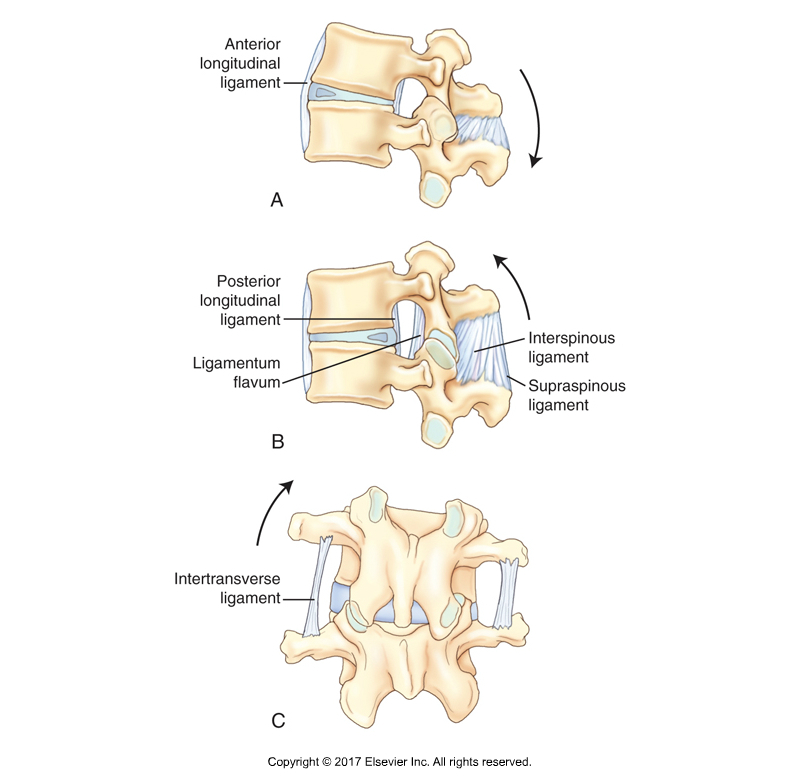 The Anterior Longitudinal Ligament (ALL) is seen along the anterior bodies of the vertebrae. The ALL, if taut, limits extension of the spine. Permission Joseph E. Muscolino. Kinesiology – The Skeletal System and Muscle Function, 3rd edition (Elsevier, 2017). Pilates can treat thoracic hyperkyphosis by addressing the flexibility of the spine in the frontal plane. This approach that may not seem at first to be beneficial for a client with thoracic hyperkyphosis is to have them perform exercises that involve lateral flexion (side bending) movements. The reason these exercises might not seem to help is because thoracic hyperkyphosis is a sagittal plane postural distortion, but lateral flexion movements occur in the frontal plane. However, frontal plane movements can help because when the body laterally flexes to one side, say the right side for example, all of the soft tissues on the other side of the body, the left side in this case, are stretched. And vice versa. Included in the tissues that are stretched would be any ligament that crosses the spine anteriorly, specifically the anterior longitudinal ligament (ALL) (Figure 9), which would be shortened and taut (locked short) in the client with thoracic hyperkyphosis. By stretching to the right, the fibers on the left side of the anterior longitudinal ligament would be stretched; and by stretching to the left, the fibers on the right side of the anterior longitudinal ligament would be nicely stretched and lengthened, thereby increasing flexibility toward thoracic extension. Figure 10. Kneeling Mermaid on Wunda Chair Pilates Apparatus Exercise. Permission Simona Cipriani. The Art of Control Pilates Studio, Stamford, CT, USA. Figure 11. Side Sit Ups on the Spine Corrector Pilates Apparatus Exercise. Permission Simona Cipriani. The Art of Control Pilates Studio, Stamford, CT, USA. Two examples of exercises that involve lateral flexion movements are Kneeling Mermaid with the Wunda Chair (Figure 10) and Side Sit Ups with the Spine Corrector (Figure 11). The Kneeling Mermaid is more effective from a purely lengthening/stretching point of view because the range of motion is greater. However, Side Sit Ups incorporate more strengthening of the lateral flexion musculature because there is more resistance from gravity. Did you know that Digital COMT (Digital Clinical Orthopedic Manual Therapy), Dr. Joe Muscolino’s video streaming subscription service for manual and movement therapists, has an entire folder with video lessons on Pilates? Digital COMT adds seven new video lessons each and every week. And nothing ever goes away! Click here for more information. Figure 12. The Swan on the Ladder Barrel Pilates Apparatus Exercise. Permission Simona Cipriani. The Art of Control Pilates Studio, Stamford, CT, USA. Pilates can treat thoracic hyperkyphosis by directly addressing the strength of the sagittal plane extensor musculature of the spine. Given that thoracic hyperkyphosis is characterized by excessive flexion of the thoracic spine, the most direct way to improve this condition is with exercises to strengthen the extensor musculature of the thoracic spine, in other words, the paraspinal musculature composed of the erector spinae (iliocostalis, longissimus, and spinalis) and transversospinalis musculature (semispinalis, multifidus, and rotatores). Having strong paraspinal muscles of extension is important because gravity tends to pull our thoracic spine down into flexion. 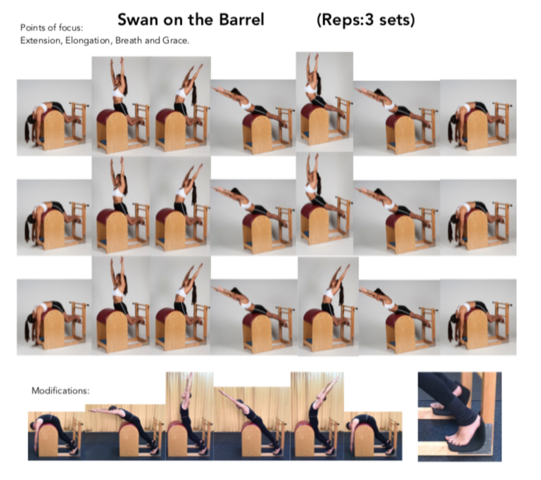 An example of a Pilates exercise that directly strengthens the thoracic paraspinals is the The Swan on the Ladder Barrel (Figure 12). Figure 13. The Backward Stretch on the Ladder Barrel Pilates Apparatus Exercise. Permission Simona Cipriani. The Art of Control Pilates Studio, Stamford, CT, USA. And Pilates can treat thoracic hyperkyphosis by directly addressing the flexibility / mobility of the spine into extension. The final approach of the six approaches presented here is oriented toward direct mobilization of the thoracic spine into extension. This approach is especially important for breaking up fascial adhesions that might be locking up the thoracic spinal joints, thereby creating segmental hypomobilities (individual joint levels that move less). To accomplish this treatment approach, we need a rounded surface that the client’s thoracic spine can be laid across. Pilates apparatus that have a rounded surface are the Spine Corrector, the Small Barrel, and the Ladder Barrel. By the client lying face up (supine) with their thoracic spine against the rounded surface of one of these pieces of apparatus, their body weight pushes their spine into extension around the fulcrum point, which is where they place their back at the center of the apparatus. Examples of exercises that are excellent examples of this approach are the Backward Stretch on the Ladder Barrel and the Short Box Series on the Ladder Barrel (Figures 13 and 14). Figure 14. 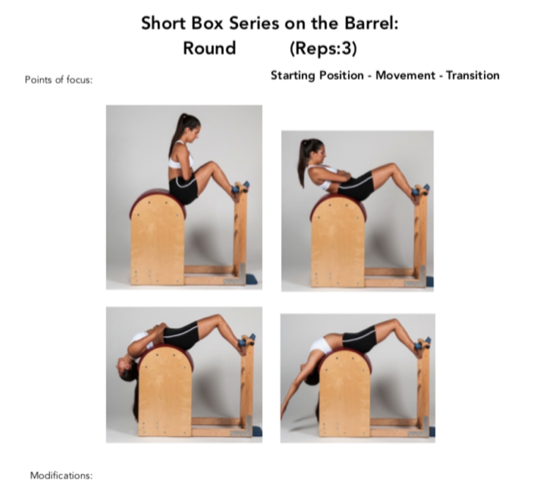 The Short Box Series on the Ladder Barrel Pilates Apparatus Exercise. Permission Simona Cipriani. The Art of Control Pilates Studio, Stamford, CT, USA. So we can see that there are many approaches that a Pilates instructor can take to address the client who presents with hyperkyphosis of the thoracic spine. This blog post article addressed six of them. The experienced instructor will take advantage of many if not all of these approaches. Further, depending on the specific client with which the instructor is working, the experienced Pilates instructor will modify each exercise as best meets the needs of that client. At the Art of Control, each and every teacher has the expertise to deliver the above and beyond. It is this that makes the traditional Pilates method so effective. Simona Cipriani. 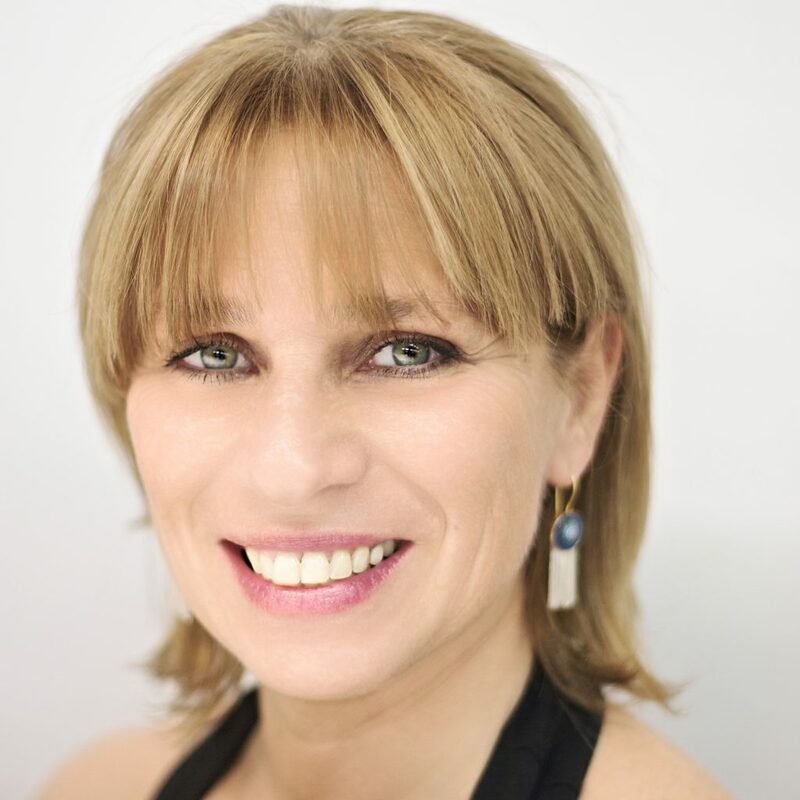 Second-Generation Pilates Instructor and founder and director of The Art of Control Pilates Studio and the Contrology Pilates Instructor Training Program. Stamford, CT, USA. Click here to learn more about second-generation teacher, Simona Cipriani.